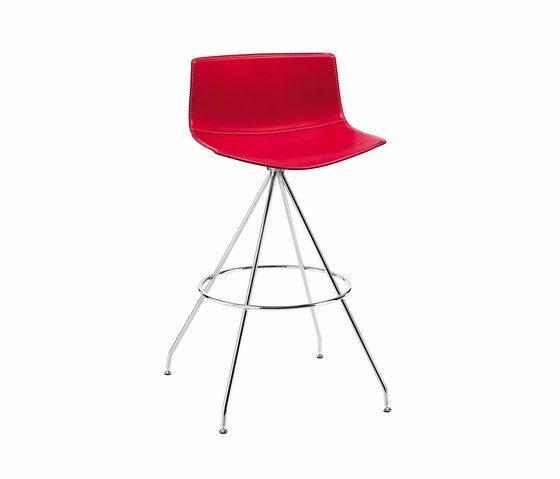 Low stool on swivelling, chromed steel base. The shell with low backrest is in polypropylene, covered with hard leather grade 1 and hard leather grade 2. Seat height 65 cm. Backrest height 90 cm.